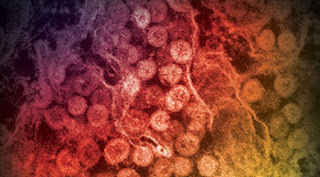 Middle East Respiratory Syndrome (MERS) is a viral illness first reported in Saudi Arabia in 2012. It is caused by a coronavirus called MERS-CoV. Severe acute respiratory illness occurs with fever, cough and shortness of breath. The death rate hovers around 30-40%. All cases have been linked to countries in and near the Arabian Peninsula. In May of 2015, a Korean citizen traveled to the Middle East and became ill upon his return. As MERS is difficult to diagnose, particularly in the beginning stages, he visited four healthcare facilities, including inpatient and outpatient centers, before being diagnosed later in the month. This initial patient spread the disease primarily through exposure in the healthcare environment. As of June 15, 2015, the Republic of Korea has reported 150 laboratory-confirmed cases and 15 deaths. However, it appears that the number of new cases is declining, which suggests, very prematurely, that the outbreak may be waning. The Centers for Disease Control and Prevention (CDC) issued updated Interim Infection Prevention and Control Recommendations for Hospitalized Patients with MERS on June 15, 2015. This supersedes the July 2014 CDC guidance. The guidance continues to recommend "standard, contact and airborne precautions." In addition, it includes additional recommendations for prevention of transmission of any infectious respiratory pathogens, including MERS-CoV, in the healthcare setting.